Location: North side of an un-named minor road. 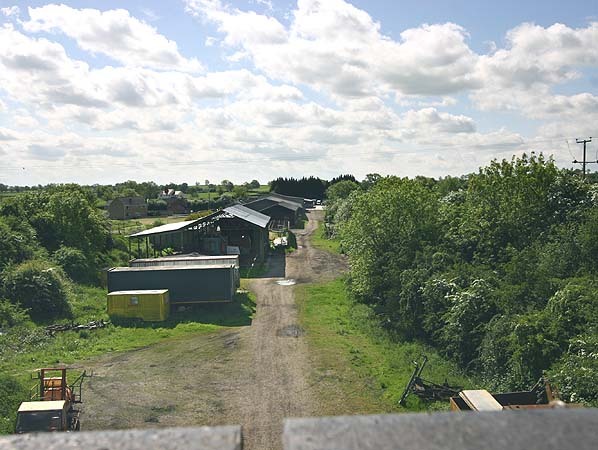 Present state: The station has been completely demolished and the site is now occupied by farm buildings, the goods shed survives in agricultural use and the stationmaster's house is in private occupation. 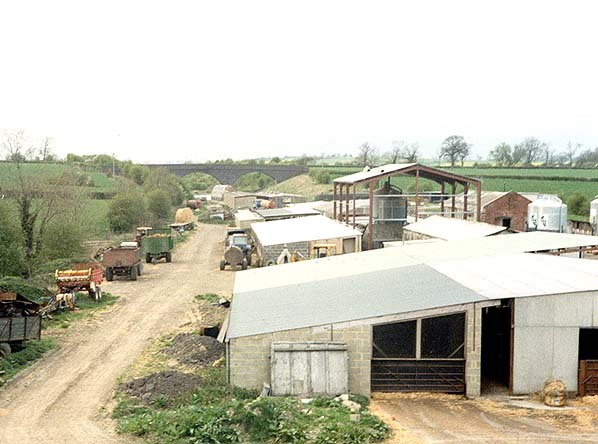 There was a small goods yard on the down side of the line with a small brick goods shed. There were originally two sidings and a loop but one of the siding was removed by the 1930's. 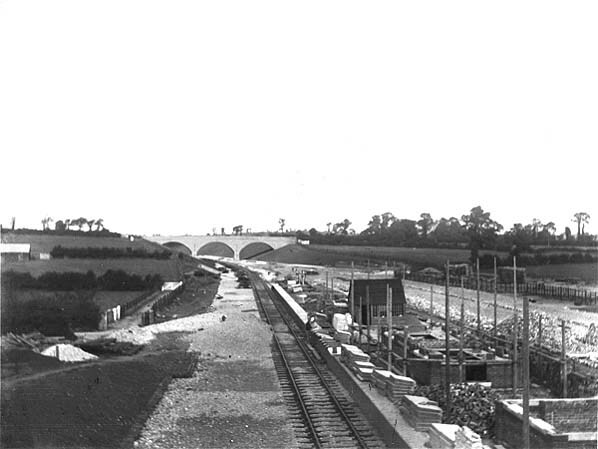 Culworth was never busy, 3½ miles from the village it served and villagers found Eydon Road Halt on the Great Central's Banbury line was more convenient. 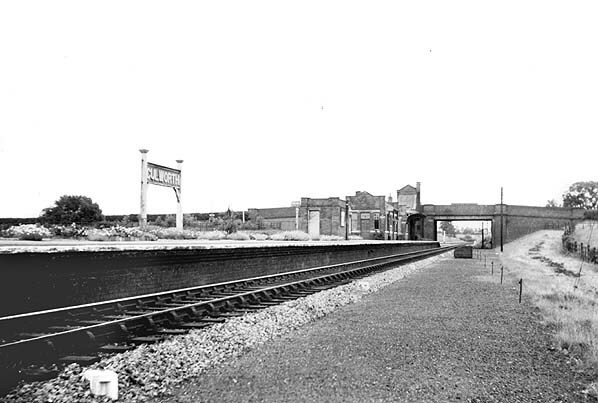 The station was closer to Moreton Pinkney which had its own station the Stratford-upon-Avon and Midland Junction line. 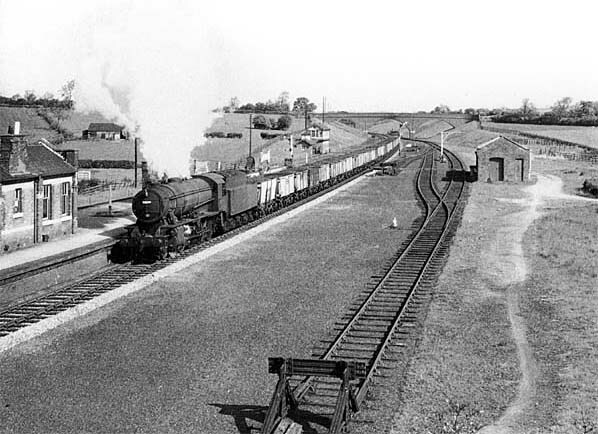 Eydon Road closed in 1956 but this didn't help Culworth was an early casualty, losing its passenger and goods service on 29th September 1958, after closure the station remained in use as a coal deport until 4th June 1962. 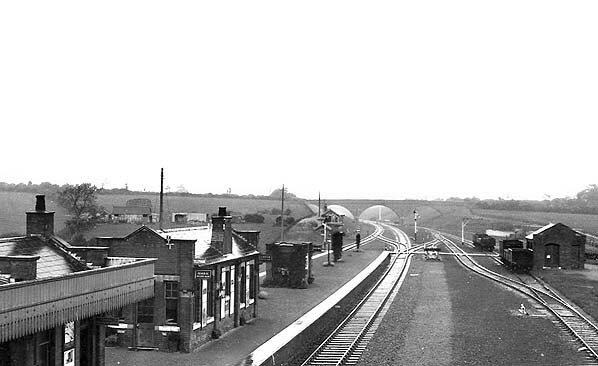 Too see other stations on the Great Central Railway between Sheffield Victoria and Aylesbury click on the station name: Aylesbury, Waddesdon, Quainton Road (1st site), Quainton Road (2nd site)**, Calvert, Finmere, Brackley Central, Helmdon, Woodford Halse, Charwelton, Braunston & Willoughby, Rugby Central, Lutterworth, Ashby Magna, Whetstone, Leicester Central, Leicester North***, Belgrave & Birstall, Rothley**, Swithland****, Quorn & Woodhouse**, Loughborough Central**, East Leake, Rushcliffe Halt**, Ruddington, Ruddington Factory Halt, Arkwright Street, Nottingham Victoria, Carrington, New Basford, Bulwell Common, Bulwell Hall Halt, Hucknall Central, Annesley South Junction Halt, Hollinwell & Annesley, Kirkby Bentinck, Tibshelf Town, Pilsley, Heath, Staveley Central, Renishaw Central, Killamarsh Central, Beighton (1st site), Beighton (2nd site), Woodhouse Junction, Woodhouse*, Darnall*, Sheffield Victoria & Sheffield Bridgehouses.